Amazon Founder and CEO Jeff Bezos saw his private spaceflight company, Blue Origin, hit a major milestone today by launching and landing its New Shepard vehicle. In what could best be described as a small case of rocket envy, SpaceX CEO and CTO Elon Musk took to Twitter to remind us that his rocket had been there first. The flight itself is described as suborbital spaceflight, meaning the rocket wasn’t powerful enough to launch the passenger vessel or itself high enough to achieve orbit. Musk used that as an opportunity to throw a bit more shade at Bezos in the form of talking about SpaceX’s orbital flight and water landing in 2013 and 2014. Of course, it’s not a true apples-to-apples comparison as Musk intends to send a rocket to Mars and the ISS in the near future, while Bezos is simply hoping his smaller rocket can ferry paying passengers into space so they can experience the views and the feeling of weightlessness. 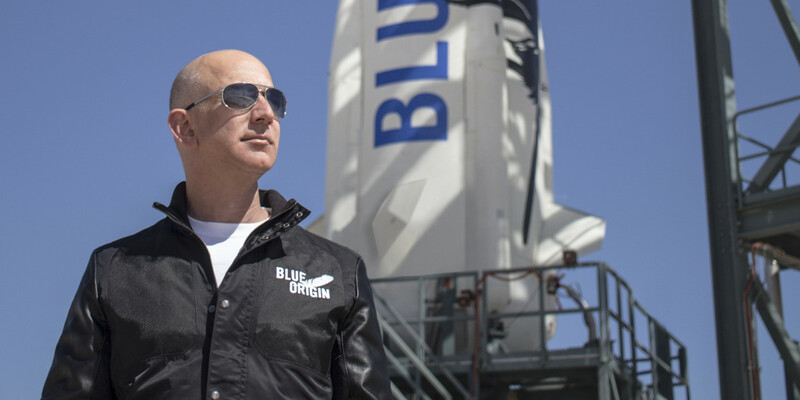 Bezos announced a new rocket in September capable of orbital flight that Business Insider referred to as “a monster.” It appears size does indeed matter.